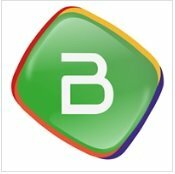 General TV Channel / Televisión Boliviana (TV Bolivia) is the first television channel of Bolivia and serves the only means of television communication from the government. The channel was established in August 1969 under the government of Luis Adolfo Siles after years of planning by the government of then-recently deceased René Barrientos. It's a state-owned broadcasting network. The channel was established with the aim of serving as an independent, public service channel, but has served throughout its history as a propaganda tool for all the running governments according to studies on its programming. TV Boliviana was the only nationwide TV channel until Paceña de Televisión was established on October 24, 1984.